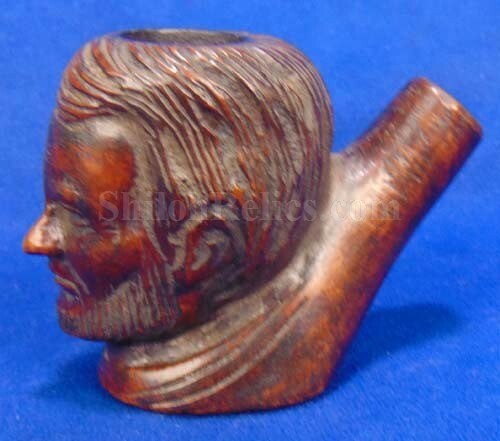 This is one of the coolest pieces of Civil War prisoner of war art you will ever find. 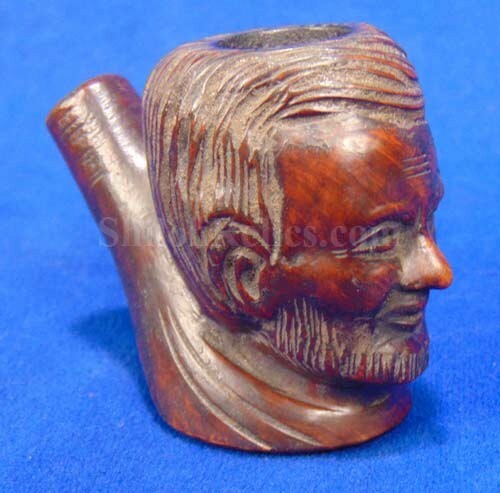 This hand carved pipe was carved by one of the Union prisoners while in camp. 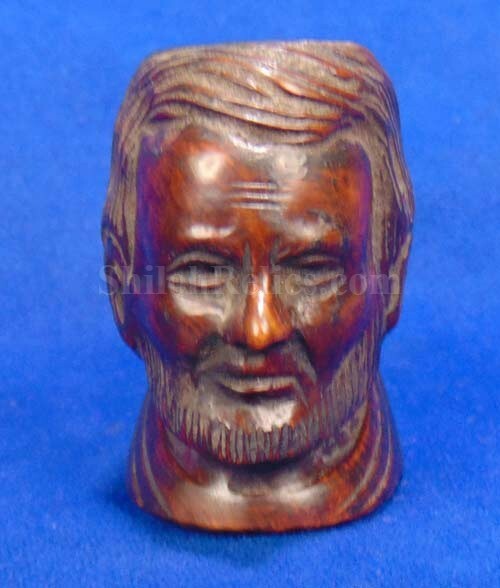 This piece is carved form a single piece of wood. It stands 2-3/8ths inches tall. 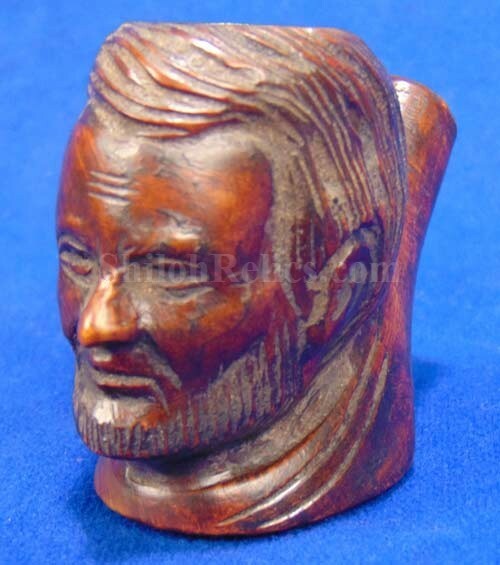 It is exquisitely carved to be the face of Abraham Lincoln. 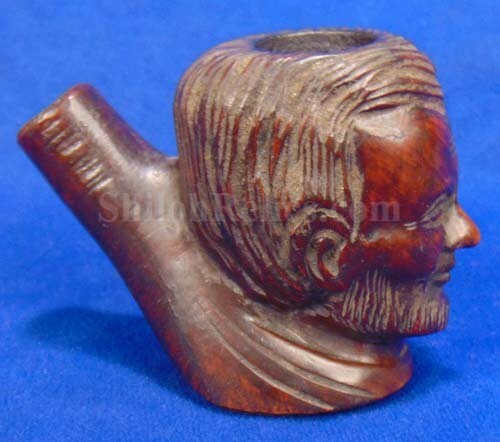 It shows the President with his distinctive beard. The wood has a fantastic rich untouched color. 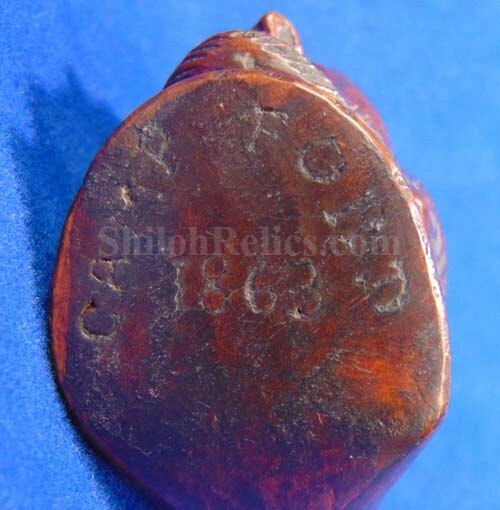 What makes this piece extra special is what is nicely carved on the bottom: "CAMP FORD / 1863." Established in Texas in August of 1863, Camp Ford was the largest Confederate Prisoner of War camp west of the Mississippi River. 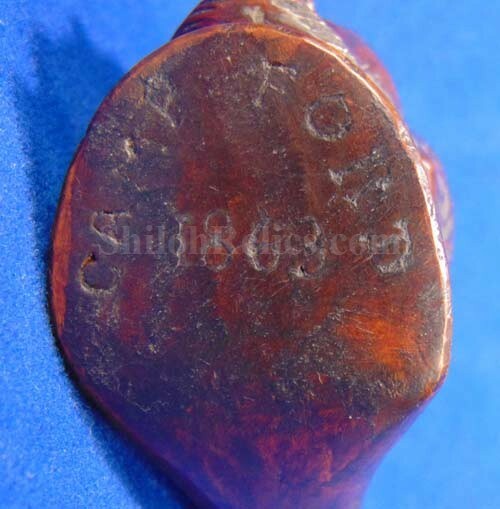 You see some amazing pieces of carved art from there but it is usually found on carved powder horns because of all of the Texas cattle. This piece is exceptional from all angles as you can see.